This is the December picture. 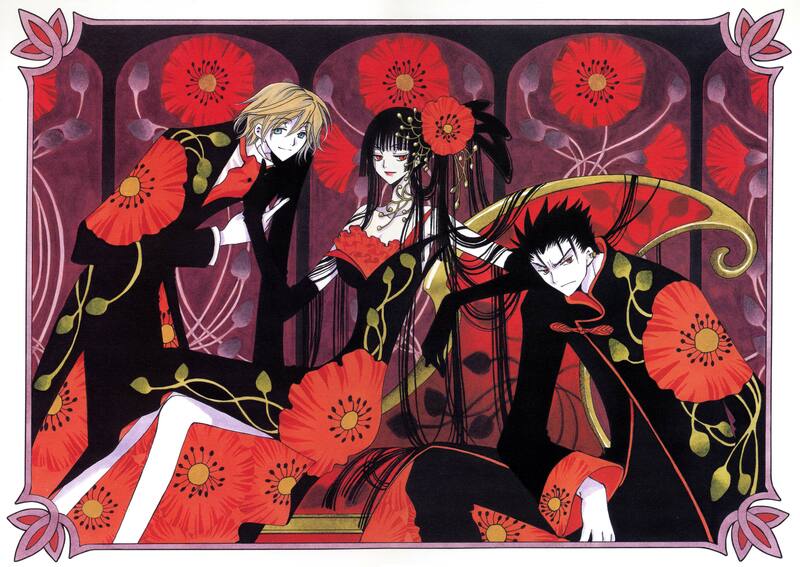 This is xxxHolic even though Fye and Kurogane are in there, you can tell from the pale skin tones and the picture frame. Yes! I was looking for this pic ever since I first saw it in a wallpaper! Thank you so much for sharing, and I love that the resolution is nice and BIG! It's interesting to see those two in the xxxholic style. this is a great image! a bit of red for my taste, but it is a cool one! thanks! This is great.Thanks for share. Hey that's Fye & Kurogane, even they couldn't resist Yuuko's charm! nice one! How does Yukko do it? Kurogane looks like an unwilling servant............Yuuko probably bullied him into it. Its beautiful! Thanks for sharing! Fye and Kurogane with Yuuko O.O They look awesome. oh I never saw this picture before.